Jeanne Malone, MBA Finance & Marketing, BS Computer Science and Mathematics As a respected leader in the Dimension Data sales organization, Jeanne is recognized for her creative thinking and results-oriented collaboration. She brings over 20 years of experience across sales and technology functions at esteemed corporations such as Solomon Brothers (Citi), Oracle, Cambridge Technology Partners, BusinessEdge Solutions (EMC), and Dimension Data. Over her 20-year career, Jeanne has demonstrated skills and insight to build productive strategic relationships, including driving business for four startups, as well as global clients across numerous industries. For the last nine years at Dimension Data, Jeanne has fostered strong relationships with her clients, partners and client managers. She is respected for her business acumen and creativity to drive business solutions. Her ability to drive security and compliance solutions/business outcomes with technology has helped her clients meet their business needs and articulate the value of the subsequent results. Her success at building partnerships in the security market and her "get it done attitude," both internally and with her clients, have resulted in significant growth for the US Security Business. Jeanne is continuously striving to grow and learn. Jeanne continued to expand the northeast business, growing the business for cybersecurity and compliance solutions by more than 15%. Her focused efforts drove services sales that positively impacted the company's services to technology ratio, increasing annuity business while simultaneously providing valuable services to her clients. She also identified go-to-market partners and solutions for the northeast region, articulating the business value they provide to her clients, and meeting with them regularly to measure success. Jeanne also enabled new strategic partners in the company's account base and supported the continued evolution of the security technology business by identifying innovative technologies that will be relevant for clients. She did all that while continuing to support additional sales integration efforts, providing mentorship to peers, offering a broader solutions portfolio and providing strong advocacy for her partners and clients. 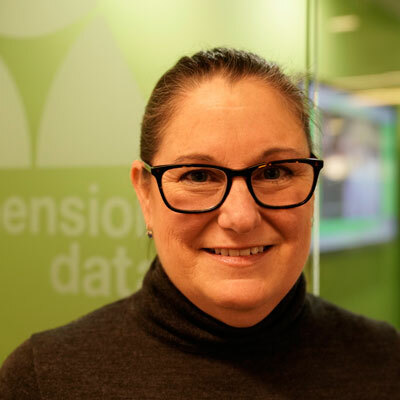 Jeanne will continue to grow the Cyber Security business at Dimension Data through increased brand awareness in the marketplace and strengthening strategic partnerships. She will continue to streamline business processes and evolve service/product solutions to solve clients' challenges while enhancing the partnership her clients expect and deserve. Jeanne is also looking to build on the positive team atmosphere she has created to allow her peers to grow, learn and feel rewarded for all their efforts. Lastly, she looks forward to supporting our corporate mission of solutions and services expansion and increased relevancy for clients. Jeanne was honored to be named to the 2017 Women of the Channel list for her significant contributions to both the channel and Dimension Data. She also exceeded financial numbers for the Cyber Security US practice for FY17 and earned a promotion to lead the Cyber Security US team. Tio Porchon-Lynch, 98 year-old yoga instructor and competitive ballroom dancer. Jeanne admires Tio Porchon-Lynch for: • her charisma, • her can do attitude, • her commitment to her practice of yoga and passion for sharing her knowledge, • her ability to continue teaching 5+ classes a week at 98 years old, and living her true authentic self, • And the mantras she lives by: "Anything is possible, nothing is impossible," Mrs Porchon-Lynch said. "When you wake up every morning say 'this is going to be the best day of my life' and it will be." Be kind to yourself even when we make mistakes. Be your true authentic self even when the situation may be uncomfortable. Remember it's our responsibility to maintain a healthy positive outlook. Shoot for the stars. Accept there will be setbacks and different expectations - enjoy the ride (easier said than done). Stay clear of playing the victim, comparing and despairing, and gossiping - which leads to negative thinking. Jeanne would like to master public speaking - especially on topics related to leadership. She's very comfortable speaking to intimate groups, but she can still feel slightly uncomfortable with large scale groups. Learning to master public speaking will bring new challenges to overcome existing fears. Leaders Eat Last by Simon Sinek. It's an excellent discussion on leadership that helped Jeanne open her mind to new ideas and concepts about not only directing teams but in leading clients to new and exciting solutions.